NYJO are in blue, BuJazzO in black and NJJO in orange. Three big bands, three different countries, three solid days of intensive rehearsal, four different gig venues and over 70 of the most promising young European jazz musicians about to burst onto the scene. 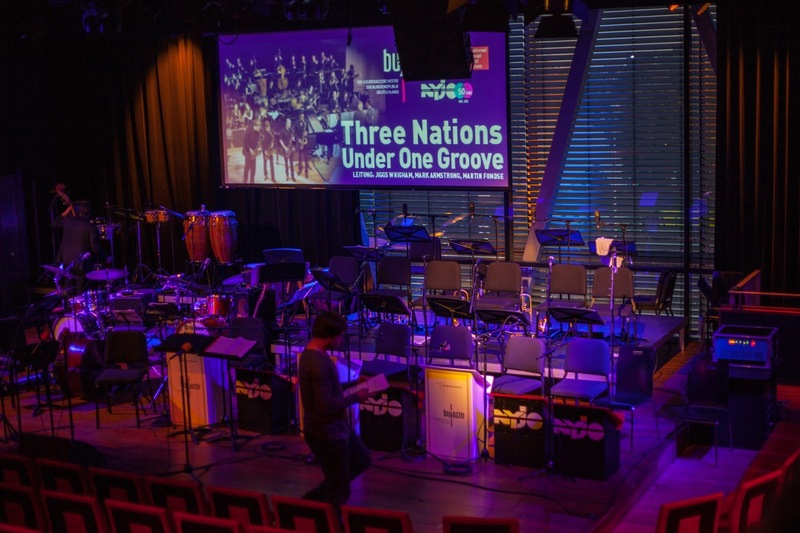 These were the ingredients for NYJO’s collaboration with the German Bundesjazzorchester and the Dutch Nationaal Jeugd Jazz Orkest, but where did such a bold idea come from and how did it all work? “The whole concept for ‘Three Nations Under One Groove’ is to demonstrate that jazz is a universal language spoken by young musicians across Europe, with the variety of colours and ‘jazz dialects’ used by all three nations coming together to add nuance and conversation to the repertoire we play,” explains Armstrong. The three organisations will be combining once again in 2017 to bring a big band extravaganza to UK audiences. 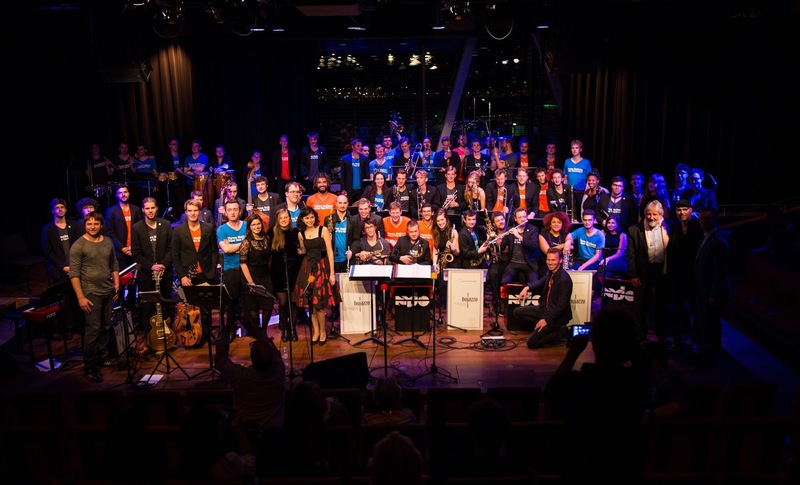 After the Brexit-vote, and in a world where we’re so used to having our differences divide us, we at NYJO and our German and Dutch friends have made a virtue of not being the same and are busy celebrating what we can learn from each other; uniting through diversity.